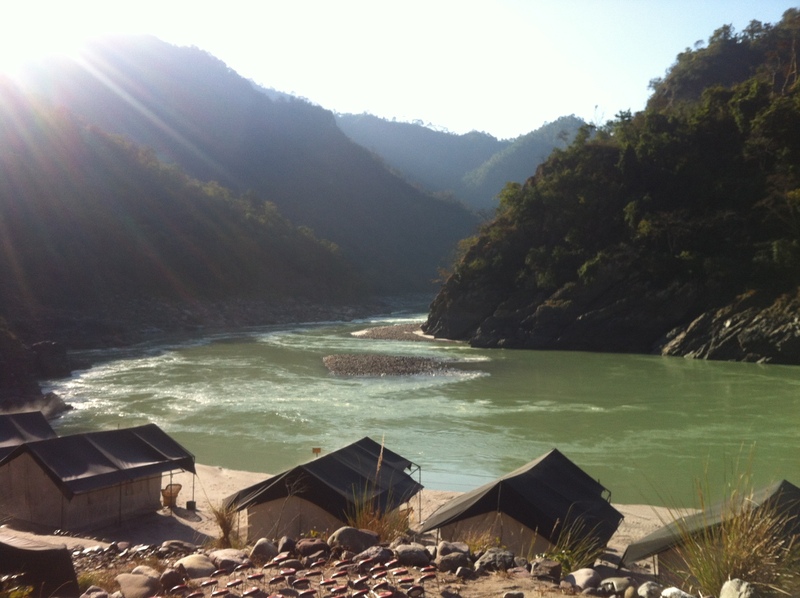 I drove across the bridge at Hardwar, and that first sight of the Ganga brightened my heart and set me smiling. It happens every time – the river, the mountains and that forest act like an elixir. The guard at the barrier to Rajaji Park, smiles and waves you through, the road winds through the forest and it feels like old friends welcoming you. Every vista, the trees and the grasses spell home. The old guard at the inner gate who has been there forever, recognises and waves. This time I took the road along the left bank all the way to the Garur Chatti bridge, by passing Rishikesh aswell. How I do love this part of the world and what a beautiful drive it makes with non of the traffic and noise, the perfect way to enter this home stretch after the maddening road conditions all the way from Delhi. Suddenly, it all washes away, the sunlight makes tree shadows dance, the road along the canal brings memories of elephant meetings and butterflies. Three days at camp – blissful sunshine, the sparkling river with all her familiar nuances and time to stare despite being there to work. It is never work surrounded by that view. I found a new rock and spot to replace the one I lost. Sitting there and talking to the river as in the old days was a healing that has been a long time coming. She was my friend and confidante for so many years and washed away many a care and I thought I had lost the connection. Now as I sit and watch, the cliche of life flowing like a river resounds – the turbulence, the obstacles, the depths and shallows and all through it, the constant flow. How many, many people before me have thought and said it, and how many more will say it, the point is how many have found wisdom, strength, succour on the banks of how many rivers? 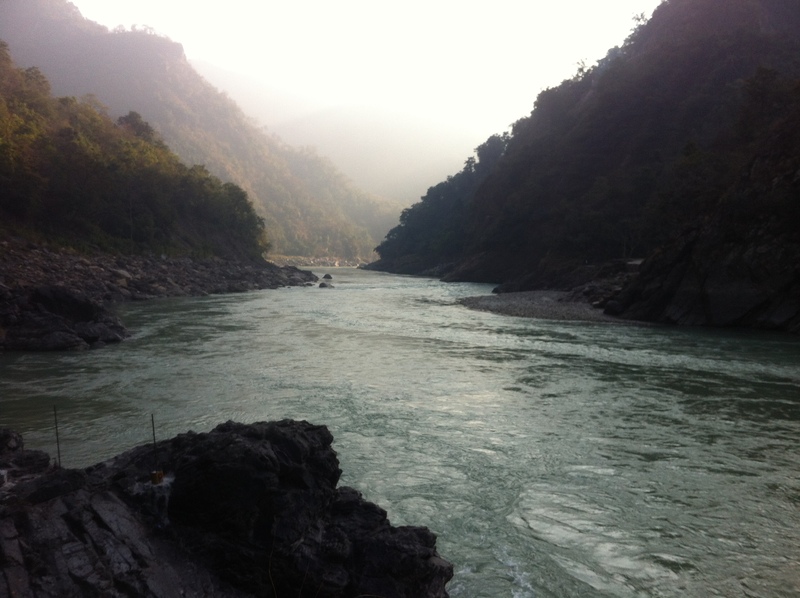 This one is just special to me – I think all rivers are special – but the Ganga truly is my friend and I am blessed to still be able to live on her banks whenever I choose. This entry was posted in Moments, Travel stories and tagged adventure, experiences, home, learning, lessons, love, river, sunshine, travel. Bookmark the permalink. ← Albums and trunks, clearance or remembrance!